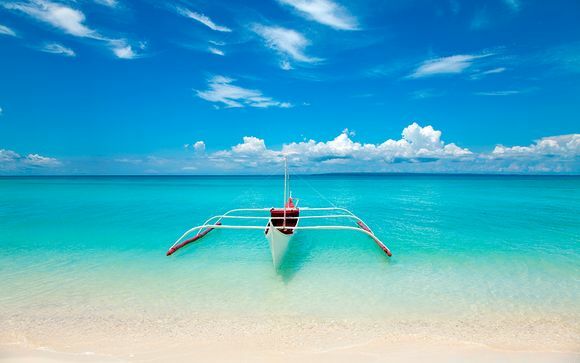 Holidays to the Philippines up to -70% off To take advantage of these offers, join now for free! 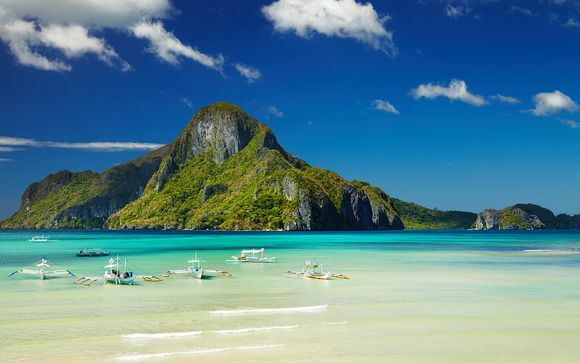 Made up of over 7000 beautiful tropical islands, the Philippines doesn’t get the same attention from tourists that some of its South East Asian neighbours receive. However, travellers that do visit the country are rewarded with beautiful and endless white sand beaches, clear blue waters, magnificent volcanoes, emerald coloured lakes, and breathtaking mountainous rice fields. 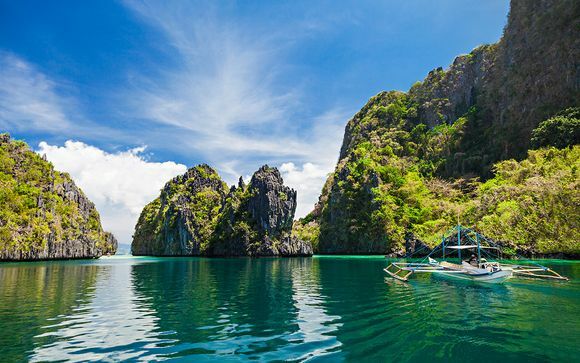 The Philippines is considered a hidden gem of South East Asia. The Philippines is made up of over 7,000 topical islands. It's a beach lover's dream, a rainforest fanatic's haven, a city slicker's sanctuary. 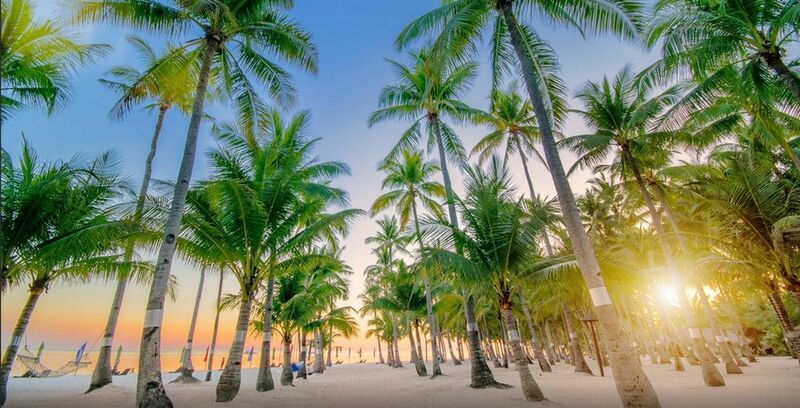 On the island of Boracay, in the centre of the Philippines, you will find beaches to soak up the sun on during the day and plenty of bars and clubs to party in all night. 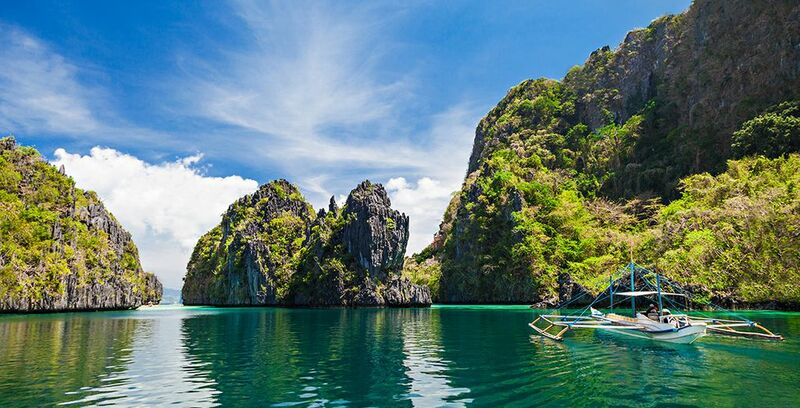 But if you prefer the quiet life then picture perfect Palawan, in the east, with its white sandy beaches and crystal clear water surrounded by limestone cliffs, is for you. The rainforest of Luzon harbours more than 3,500 species of plants and animals and is well worth an explore for anyone looking for a bit of wildlife. 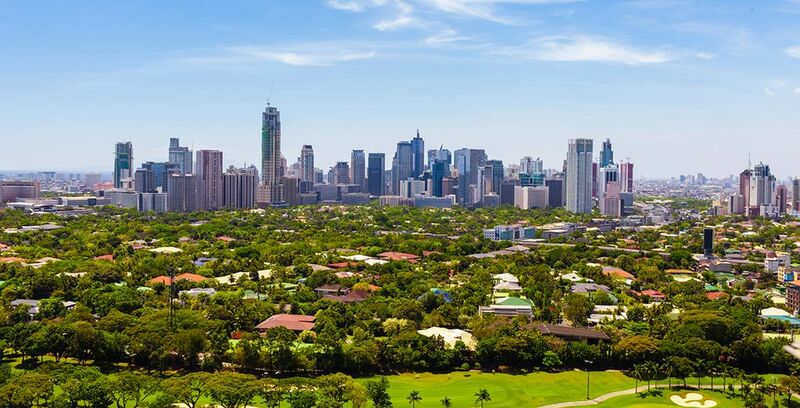 If you are more keen on your home comforts then the sprawling metropolises of Manila and Cebu have plenty to offer. Manila is the capital of the Philippines and Cebu is described as the Philippines' second city. Both are 24 hour cities so vibrant you can't help but be caught up in the excitement of them. A perfect destination for beach lovers, a wealth of shoreline means the Philippines is blessed with thousands of islands and some of the best beaches in the world. Indulge yourself and relax on the beach of a luxurious 5* resort or unwind on the serene jungle shoreline of a remote tropical island. The country is a dream location for those that love outdoor pursuits, world-class surfing spots are dotted all over the country and you can go trekking through ancient rice terraces or hike up spectacular volcanoes. Malapascua Island offers some of the best diving in the world with several underwater shipwrecks and the possibility of swimming with some huge but gentle whale sharks. Part of the Philippines' unique appeal is the world famous hospitality of the locals. Whether you have travelled to lounge on the beach, enjoy a romantic getaway, or get active with an adventure holiday, the Filipinos you meet will make you feel so welcome you’ll never want to leave. The majestic Banaue Rice Terraces are often considered to be the ‘Eighth Wonder of the World’ and it’s easy to see why when you see their magnificence in person. 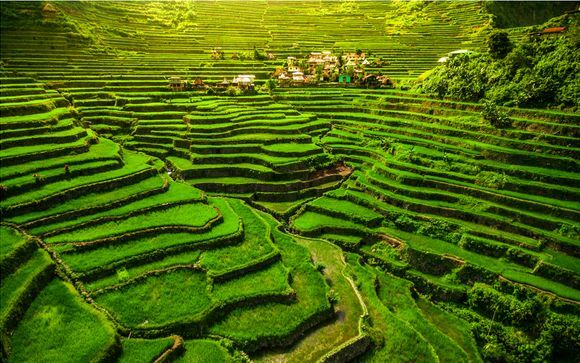 Over 2,000 years old, the rice terraces are carved into the Lfugao Mountains and are still in use today with locals planting rice and vegetables. Located on the island of Luzon, this active volcano is a perfectly symmetrical cone shape. It’s an almost dreamlike experience to see the perfectly shaped volcano and wander through the surrounding national park. Although you should check before visiting, it is an active volcano, after all, seeing Mount Mayon is a must for visitors to the Philippines. A visit to this wonderful national park offers a unique and unforgettable experience. 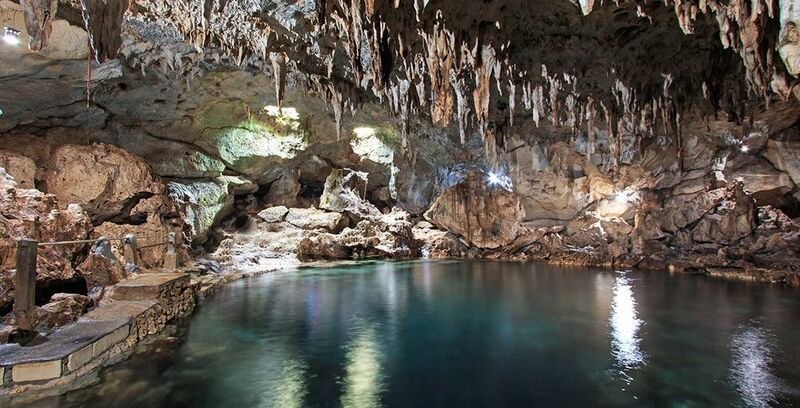 Declared as one of the ‘Seven Wonders of Nature’, the park is home to an underground river that flows through over 8km of caves. Go for a ride on a paddle boat and explore this breathtaking wonder of nature. Located in Bohol province, these fascinating and iconic hills are spread over 20 miles and Reach up to 50 meters in height. The grass-covered hills gain their name from their brown color in the dry season, making them look like giant chocolate drops that have been scattered over the landscape. A trip to the Philippines isn’t complete without seeing the country’s famous chocolate hills. Since its discovery in the 1970s, this glorious diving spot has become famous worldwide for its amazing coral reefs. Its remote location has protected the reef from over tourism so if you do make the boat journey there you will be rewarded with the opportunity to see untouched and thriving marine life. Make sure to visit during the dive season between March and June. Conveniently located on Roxas Boulevard, this modern hotel is a short drive from the airport and within walking distance of the exciting Makati entertainment district. Its bright and comfortable rooms offer the perfect place to rest after arriving in the Philippines with views overlooking the bay and across the city of Manila. 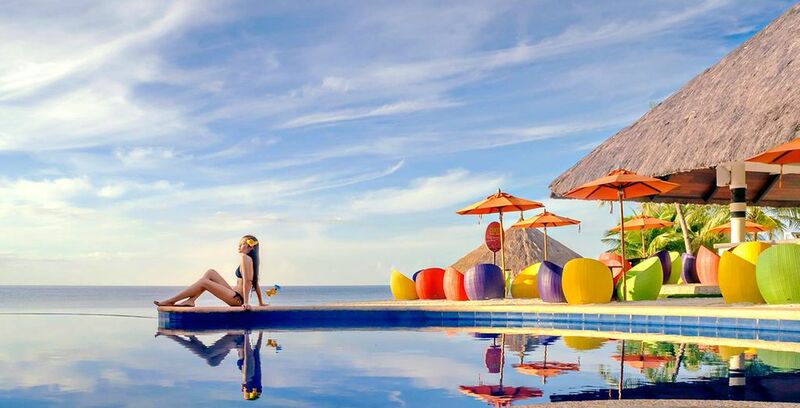 Spread across 45 hectares of pristine white sand shoreline, South Palm Resort Panglao is the ideal hotel for beach lovers. Its 90 rooms are decorated in the traditional style of Boholano craftsman and full of character while the resort’s location is perfect for exploring the marine sanctuaries and sandy shores of Panglao Island. Perched on the top of a limestone cliff, Amorita Resort’s distinct and natural location is truly breathtaking. 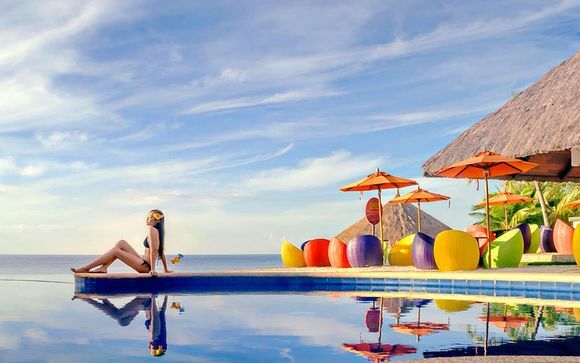 Soak up the views across the Bohol Sea and Alona Beach as you unwind and relax in its tranquil setting and enjoy the world class service the Philippines is renowned for. 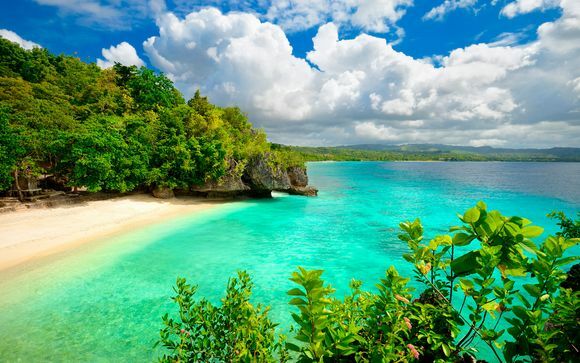 The best time for holidays to the Philippines is between November and April, during the dry season. During this period, the country's gorgeous tropical islands and remoter areas are all accessible and the temperature sits between 26°C and 33 °C. The temperatures are high between March and April and the wet season occurs between May and October, but the rain rarely lasts all day and doesn’t usually affect travel plans. Keep in mind that the weather in the Philippines can be unpredictable and the country does suffer from typhoons that can occur from August all the way through to January. What budget to plan for the Philippines? As with most of the countries in South East Asia, the Philippines generally offers great value for money. Your budget will depend on how much you want to spend as it’s possible to vacation on a budget of £30 per day if you stay in guesthouses and travel slowly, whereas you can spend hundreds of pounds per day if you travel often, eat at exclusive restaurants, and stay in some of the luxurious high-end resorts that are located all over the country. Because the Philippines is spread across thousands of islands, it is worth bearing in mind that the transportation costs in the Philippines are more expensive than the neighboring countries of Thailand, Cambodia, and Vietnam. The Philippines is unique in south-east Asia because of the historical mix of colonialism it was faced with. Spanish rule left an indelible mark, which can still be felt today as it is an overwhelmingly Catholic country which loves a fiesta; however, the imprint of the American rule that followed can also be widely seen and felt. Nowhere is the influence of other cultures on the Philippines more apparent than in their food. Filipino food is amazingly flavourful, with something to suit all tastes, but it is in the Filipino take on American and Spanish food that the most joy can be found. Alongside stunning landscapes and delicious morsels, the Philippines also has an attraction for every tourist's taste. Whether it's the Old Town in Manila, scuba diving and snorkelling, museums and art galleries, boat trips and fishing, fine dining, volcano climbing, all night drinking, all day trekking, mega malls, market stalls, private cars and jeepneys: there's a wealth of things to do. Sign up to the website today for exclusive hand-picked offers and to create alerts for future deals to the Philippines.